The Substance Abuse and Mental Health Services Administration (SAMHSA) of the U.S. Department of Health and Human Services (HHS) declared September "National Recovery Month" 25 years ago this [past] month. The past quarter century has witnessed an explosion in our understanding of addiction as well as why and how different medical treatments for substance use disorders work. But it isn't neuroscience alone that has enhanced our understanding and acceptance of evidence based medical treatments for substance use disorders; The advocacy movement across the spectrum of recovery approaches has seen an increase in participation, involvement and interest over the past 25 years as well. On this 25th anniversary of National Recovery Month let us all celebrate medication supported recovery through participating in and supporting our own patient advocacy movement. Dr. Vincent Dole, one of the three original founders and pioneers of methadone maintenance treatment, along with Doctors Marie Nyswander and Mary J. Kreek, recognized the importance of the patient advocacy movement when he said, "Just that you people who are involved in advocacy, keep up the work. I have seen changes come about in the current system because of people becoming involved. It is these who are the real heroes in all of this. Without advocacy, changes will not come about within the present system." Positive change is brought about through advocacy. Whether it is a clinic director explaining to a patient's probation officer that methadone is not a "substitute drug" but a legitimate medication for a chronic health condition or a patient fighting stigma by writing a fact-based letter to the editor in her local paper, advocacy is the key to not only defending patients' rights but also raising awareness about and around the true face of and the evidence base behind medication assisted treatment with methadone and buprenorphine. The celebration of National Recovery Month over the past 25 years has served as motivation for the formation of a variety of new recovery-based advocacy organizations and events. But what truly gives hope to those of us who understand and have experienced, many of us first hand, the life-saving and life-restoring potential of this treatment modality is that medication assisted treatment has largely been not only included but celebrated by SAMHSA. It was during the past 25 years that the phrases "medication supported recovery" and "medication assisted recovery" began to become common. It has been during the past 25 years that the medication assisted treatment community has come to realize that we own recovery too and that taking a legal, proven effective medication once or twice a day has absolutely nothing to do with determining whether or not an individual is "living in recovery." If anything we have come to realize that medications like methadone and buprenorphine can foster and help encourage a life of recovery. SAMHSA's official "working definition" of recovery is "a process of change through which individuals improve their health and wellness, live a self-directed life, and strive to reach their full potential." Medications like methadone and buprenorphine don't hold individuals struggling with opioid addiction back from those things. Methadone maintenance treatment has been an integral part of allowing me to improve my health and wellness and start working toward achieving all the goals that active opioid addiction had put on hold. I am once again a contributing member of society who focuses on my family, faith and community thanks to methadone treatment. I am living in recovery because I am able to be a patient of an opioid treatment program that offers what the National Institutes of Health (NIH) has deemed the timeless "gold standard treatment" for the substance use disorder by which I am afflicted, and when the hundreds of thousands of patients living in methadone supported recovery like me realize that, and become empowered by and proud of that fact, the advocacy movement will become a force like no other in helping turn the tide on the opioid addiction and overdose epidemic plaguing our nation and growing the number of individuals celebrating lives in recovery. This 25th Anniversary of Recovery Month let us all - providers, patients, family and friends alike - commit ourselves to advocacy. Write to your local chapter or the national offices of NAMA-R and ask how you can get involved. Go to tnmethadone.org and make a donation. Tell your neighbors, family and friends the truth about medication assisted treatment and how it fits into SAMHSA's working definition of recovery. We all can do something to help support the advocacy movement that is our movement, and that is one of the greatest ways we can celebrate and help spread the life-saving message of recovery this month and throughout the year. This column was originally written for , the Quarterly Newsletter of 'Opioid Treatment Providers of Georgia' (OTPG), the Georgia State providers association and Chapter of the American Association for the Treatment of Opioid Dependence, Inc. (AATOD), originally appearing in the September 30, 2014 edition. What a great post! I believe more patients become involved in advocacy and be proud to be in recovery, rather than ashamed to say they are on methadone. I know I too feel the shame when I utter the words methadone and I should not feel this way! Stigma has a huge impact and it's time it changed! 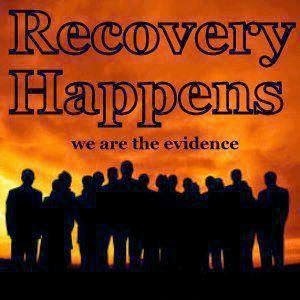 I applaud the work which you all do as methadone advocates! You are true hero's at work! Keep up the great work! Thanks for your comment, support and encouragement! As a reporter with a prominent publication that reports on substance use treatment & news of interest recently said to me about patient advocacy, "It's God's work." Empowered and educated patients are patients who are more likely to find recovery and spread the truth about the life-saving and evidence-based nature of medication assisted treatment with methadone and buprenorphine. Keep up the work YOU are doing as well... NAMA-R's slogan is so true & so important: "TOGETHER we can make a difference!" And together, the advocates of NAMA-R and folks like you, we ARE making a difference! Thanks for reading the NAMA-R TN blog and visiting our website!